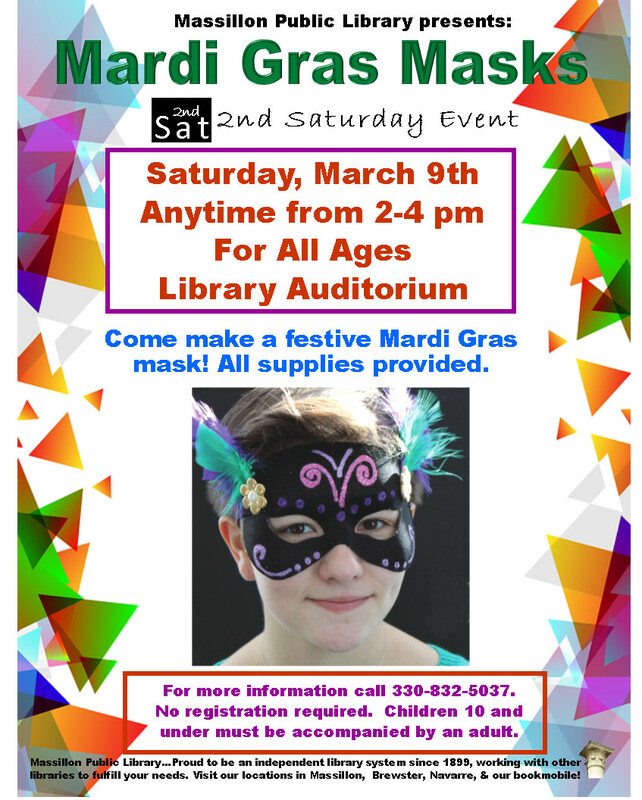 Stop in any time between 2:00 p.m. and 4:00 p.m. to make a festive Mardi Gras mask! All supplies provided. Children under age ten must be accompanied by an adult.